Novonix is a company spun out of Dr. Jeff Dahn’s lab at Dalhousie University that specializes in developing battery testing equipment with a strong focus on the use of High Precision Coulometry for reliable lifetime evaluation of lithium-ion cells. Improve your batteries with top-of-the-line battery cyclers. Novonix’s High Precision Cycler systems provide industry leading low noise and high accuracy source and measurement electronics catered to making precision measurements, including coulombic efficiency, of lithium-ion battery performance and cycle life. Advance your battery research with non-destructive electrolyte analysis. Differential thermal analysis enables reliable in-situ measurements of the evolution of liquid electrolyte in lithium-ion batteries. Use Novonix’s testing service to understand battery failure. Let Novonix help your company meet and exceed your lithium-ion battery research and development. 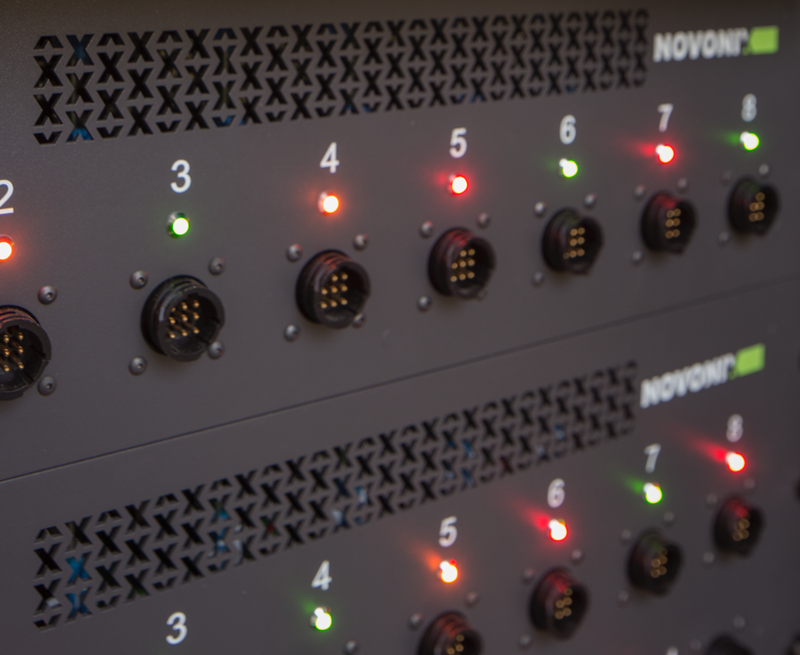 Novonix offers battery materials development and characterization, cell design consulting and prototyping, and cell testing service in our high precision cycler test lab. Have a Question? Novonix is here to help. Copyright © 2018, Novonix. All rights reserved.